He was represented by his deputy, Nourou Macki-tall. 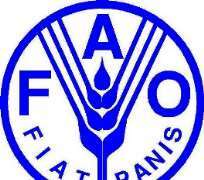 Mr Koroma, who attributed the development to the robust efforts made by the Federal Government and the humanitarian organisations, said the exercise targeted 40,600 farmers in Borno. “Other factors leading to an improvement in the food security situation include favourable farming conditions, improved security in some areas and better access to markets,” Kotoma said.